Maybe I’m not being fair. Or maybe I felt like I’ve been spoiling myself with niche and independent fragrances lately, but I went on a department store perfume bender and have a book full of notes that I have only just now gotten around to starting. There’s still more niche to come, but these mass market scents seem fun to me–some less fun than others. In Bottle: A big pile of sugar and flowers. Smells a lot like the original, with a weird cloying burnt sugar smell that I didn’t get from the original. Applied: So Viva la Juicy la Fleur is one of those less fun fragrances I mentioned above. In the past, I’ve been pleasantly surprised and amused by a lot of mass market offerings, but this one hits the ordinary right on the head. The original Viva La Juicy, I had to give props to. Despite myself, I actually liked it on occasion. Granted, I was younger then and had more opportunities to wear hot pink. I’m not sure the original would strike my fancy as much these days, because la Fleur isn’t doing anything for me. If you thought Viva la Juicy was just too strong and didn’t have enough of that burnt sugar smell, then la Fleur might be worth it. For me, the original was better, but these two smell very similar. Same sugary candy opening, same sweet florals, same hint of fruits throughout, and same achingly sweet persona. This is the smell teen girls in high schools and colleges might like and wear. It would only smell ridiculous on me now. Extra: I still pull out the original Viva la Juicy now and then, take off the cap, spray and smell and then promptly go to wash it off. I really outgrew the fragrance and making it lighter didn’t make it any more grown up. Design: Someone refreshed design. I had thought the original Viva la Juicy was absurdly girly, but apparently all they had to do to top it off was slap some graphical flowers on the bottle, use a cheaper bow, throw in a script typeface and here we are. Not ugly. The form actually still looks nice. It is just very, very girly. Notes: Orange, berries, water lily, honeysuckle, gardenia, jasmine, caramel, vanilla, sandalwood. Couldn’t remember the last time I had smelled a generic fruity floral like this. It was actually somewhat nostalgic. Long story short, though, don’t buy this if you have and like the original Viva La Juicy. Unless you just want something weaker and sweeter. Reviewed in This Post: Viva la Juicy la Fleur, 2012, Eau de Toilette. I will admit that I was initially drawn to gs02 and the other scents in the latest release from biehl parfumkunstwerke because I was getting tired of picking scents based on their names. The letter and number combo lent some anonymity to the fragrance and made it seem like whatever I’d get, I wouldn’t be influenced by the name chosen by the house. What could get more anonymous than a scent called gs02? So having had no prior knowledge of the scent, no idea what notes were in it and only a write-up by Jeffrey Dame of Hypoluxe and a sample card to go with, I dove in. In Bottle: Sharp and cool, refreshing, especially after walking around outside. Clean, too with a light floral impression on top of a bed of herbs. Applied: Cool application, somewhat sharp. I get a slight hint of woods, like a slightly smoky wood. gs02 evolves into a smooth light floral with a touch of spice and woods. The longer this wears, the more I get the impression of something darker, like a leather trying to peek around the corner of some trees. The drydown has a smoother woodsy interpretation with less spice, no florals and that elusive leather is no where to be seen. Everything is generally softer on the dry down though very much present. It’s clean overall, fresh on the open, woodsy and supple in the midstage and soft on the dry down. Extra: This one is a full on niche from biehl parfumkunstwerke and composed by Geza Schoen, the nose behind Clive Christian’s 1872 and other fabulous scents like Eccentric 02 from Eccentric Molecules. Design: Minimalist bottle design, which for a series of fragrances like this lends towards the luxury and concept rather than takes away from it. These bottles fall into the aesthetic category of, “line them up in a row and stare at them all day”. Notes: Orange, wormwood, angelica, thyme, spices, leather, castoreum, amber, tonka bean, vanilla. There’s something to be said for the clean, crisp, sharp impression of gs02, though some consider it polarizing. I’ve seen reactions where people said it smelled like body wash. And having used my husband’s body shower now and then, I can attest that the association is definitely there. But gs02 has an understated, underlying complexity that you just can’t get out of a bottle of Nivea. Reviewed in This Post: gs02, 2013, Eau de Parfum. The first time I tried Citron Citron was during a rainy trip to Vancouver in autumn 2011 with my friend–then a travel agent. We had managed to book a very nice room in a very nice hotel close to the two places I had to visit. It was one of the best “not really” vacations I ever had. In the hotel bathroom were one shampoo, one conditioner, two bars of soap, and one sample tube of Miller Harris’ Citron Citron. In Bottle: Green, fresh very much a citrus scent with a hint of mossiness and woods layered in the background. Applied: Lemon and lime instantly make themselves known rather loudly upon application. This is followed by a strong orange presence that helps blend with the green herbs and crisp scent. Citron Citron has a bit of sweetness to it, making the citrus notes a bit candy-like. I’m no fan of Dolce and Gabanna’s Light Blue–one of the more popular citrus-based scents due to its reliance on the strong cedar note. But Citron Citron is an easier beast to get along with. Its cedar is tamed, behaving and blending in well with the others. The fragrance dries down rather quickly and I get more of the mint note as it ages with a spicy kick near the end that adds a bit of depth to the green freshness of this fragrance. Citron Citron does not last long. Its very composition with its emphasis on citrus is a dead giveaway to its short wear life. I neither think it’s a particularly good or unique fragrance, but it is great at a citrus-based perfume and (I think) definitely much better than Light Blue. Extra: Citron Citron was developed by Lyn Harris and released in 2000. Design: I really like Miller Harris’ bottle design. Nice clean lines, nice clean shape. Very simple but elegantly done. The bottle escapes “painfully simple” by having that pretty line art that I’m a huge fan of. Notes: Lemon, orange, lime, mint, basil, moss, cedarwood, cardamom. Citron Citron isn’t a remarkable fragrance in any way. I vastly prefer it over Light Blue, but Light Blue has it beat in terms of wear length. Citron Citron is a good memory jogger and it was for the good memories that I got my hands on it again where I’d otherwise pass it over. It reminds me of Vancouver, highrises, the Pacific ocean and a couple of metropolitan rainy days in one of Canada’s most beautiful cities. Thanks for the good memories, Vancouver. 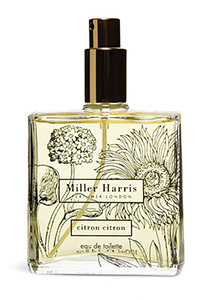 Reviewed in This Post: Citron Citron, 2011, Eau de Toilette. It’s been a very long time since I’ve had to worry about where my next fragrance review is going to come from. But my bank of reviewed fragrances has run dry and a collection of new niche and vintage samples is on its way. In the mean time, I dove back into the mainstream and fashion house markets. That is to say, I took out my notebook and went sniffing at the mall. My relocation landed me in a less urban area with available fragrance stores nearby. Which limited my choice to Bath and Body Works’ latest releases, BPAL, Victoria’s Secret’s offerings and what I could get my hands on at Dillards. In Bottle: Pleasant and sweet. Homme Sport smells of citrus, deep vanilla, woods and lukewarmth. Applied: Allure Home Sport starts off with a spray of citrus and aquatics. It smells crisp, clean and refreshing. The fragrance ages rather quickly, approaching its middle with a showing of pepper and neroli blended with a more floral note that helps temper the cedar a little bit. The vanilla is rather apparent to me, lurking in the background like it’s waiting for me to do something about it. At the end it was a vanilla amber with a spicy woods mix. The amber tries its best to warm this up, but it never really gets there. At most, it’s lukewarm. It is kind of cool in some parts, kind of warm in others. It’s like dipping your foot into a swimming pool lukewarm–if that makes any sense at all. Overall, a sporty scent you would imagine would smell of sharp citrus and aqua to give you that, “I’M CLEAN! I’M FRESH!” yelling kind of feel. Homme Sport starts off like that to me, but takes it on a more relaxed, “Don’t worry, you’re clean, but let’s not yell about it”, route. Extra: Allure Homme Sport was released in 2004 and is obviously the flanker to Chanel’s Allure Homme. Design: Contained in a metallic Allure Homme-like bottle. It looks luxurious and masculine at the same time. Good design by Chanel? Pretty much a give in most cases. 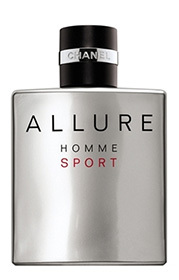 Actually, Chanel’s had its fair share of stinkers too, but Allure Homme Sport’s bottle design is not one of them. It’s not especially memorable or beautiful, it’s just basic good Chanel design. Notes: Aldehydes, orange, mandarin, marine, pepper, neroli, cedar, tonka bean, vanilla, amber, vetiver, white musk. The oriental comes in with the ever present vanilla note that I kept noticing throughout, otherwise, this would have just been woodsy to me. If you’re looking for a pretty laid back, mostly predictable fragrance with a designer name on it, then Allure Homme Sport is probably a good idea. Reviewed in This Post: Homme Sport, 2011, Eau de Toilette. Liberte is a beautiful and vastly underrated fragrances. I don’t hear much about this one, but if you can find it, it’s quite a beauty in a girly, sweet scented way. In Bottle: Somewhat harsh with the orange scent mixed with a very sweet note. Reminds me a bit of orange marmalade of which I’m not a very big fan of. Applied: The orange marmalade scent throws me off for a bit and has me a bit worried but it goes away rather quickly. What replaces it is a beautiful crystal clear honey scent with a delicate floral heart. I haven’t smelled mainstream this good in a while. It reminds me a teensy bit of the more complex Aftelier Honey Blossom. Honey Blossom still has this stuff beat in terms of authenticity and complexity, but Liberte has a more delicate scent after its initial wave of citrus jam. If you don’t want to get too complex and if you want something flowery and honey-like then Liberte is a good catch. It’s dry down introduces a bit of spices and vanilla to join in the honeyed florals. There’s a bit of patchouli, but it adds rather that distracts from the rest of the fragrance. Very nicely done! Extra: Liberte doesn’t seem to be too hard to track down. I’ve found it on at least two discounter sites and for a fairly reasonable price too. Liberte was released in 2007 and composed by Olivier Polge and Domitille Berthier. Design: Bottle simply in a tall glass flacon. Liberte sports one of the better designs from Cacharel. It’s nice and elegant with a sophisticated look. The bottle itself is easy to hold and use. I couldn’t be happier with the design choice for Liberte. Notes: Bergamot, lemon, orange, bitter orange, mandarin, sugar, freesia, frangipani, gardenia, heliotrope, honey, marmalade, spices, vanilla, patchouli, vetiver. All in all, I would still pick Aftelier’s Honey Blossom over Liberte, but it all depends on what you want in a fragrance. Liberte is certainly beautiful and shouldn’t be underestimated. It’s miles better than most fragrances that claim to be honey-based. Reviewed in This Post: Liberte, 2007, Eau de Toilette. While Thierry Mugler’s Angel didn’t hit it off with me, I was going to give Angel’s cousin, Innocent a try. I heard this stuff was lighter, easier to take, and lacked the patchouli that may have caused Angel to go foul on me. In Bottle: Fruits and almond with a very smooth and very sweet personality. Applied: Initial flare of sweet citrus. It’s a little reminiscent of juice on the initial application to me. Like a tall glass of freshly squeezed lemonade with a bit of orange added for more citrus flavor. The fragrance heads into its middle stages with a lovely almond note that plays nice with the sweet berry midstage and–I might be crazy–what smells like apricot. As things go, there’s a bit of caramel-like fragrance that seems to want to join the fray here and there. The dry down is also pleasant with a warm amber and clean nutty aroma. Extra: Innocent was released in 1998 and has been compared to Angel numerous times. I definitely see the connection there. Except, unlike Angel, Innocent is much easier to take. It’s all the pillowy softness and sweetness with none of the bite. So if you wanted to like Angel but thought she came on too strong with her patchouli note, then give Innocent a sniff. Design: Bottled very nicely in a tall cylindrical shape, Innocent is one of the less oddly shaped designs from Thierry Mugler’s fragrance line. It looks slick, it looks less clunky that many of the other designs while still maintaining a unique and captivating look. Notes: Bergamot, orange, blackcurrant, red berries, almond, praline, amber, white musk. I was one of those people who just couldn’t like Angel as a fragrance. And I’m probably able to slot myself into some category of people who didn’t like Angel but like this. Innocent is basically a milder, easier-going version of Angel with a couple of tweaks, but the same base personality. 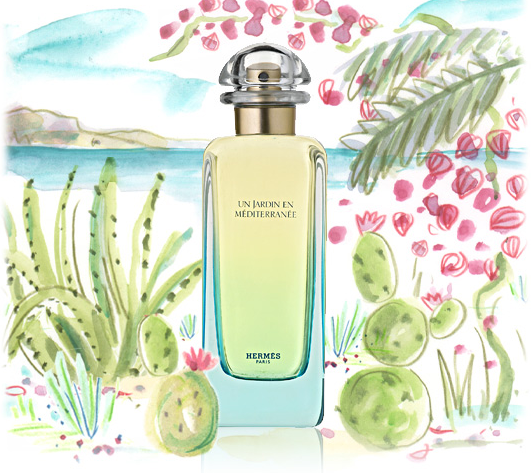 Reviewed in This Post: Innocent, 2008, Eau de Parfum. Picked up this classic out of the pile today. I had heard of Knize Ten on various fragrance boards and saw it had a lot of love and praise so I was very excited to see how I’d react to it. In Bottle: Strong leather up top with a mixture of notes that reminds me of motor oil or rubber. I know my fiance, whose love of things that smell like car garages would love this. Applied: Once again a very heavy leather note up top with a few notes that remind me of rubber or motor oil. Just something really heavy and mechanical. This makes me think ‘masculine’ right away as it has a very strong initial personality. If you keep wearing Knize Ten it mellows out a bit, turning into a soft, plush leather fragrance with a hint of floral to back it up. It’s rich, sophisticated and very complex as all classics tend to be. I love it, but I would probably love it more on a man than myself because I can’t see myself rocking this with the same kind of style due to my penchant for lighter fragrances. Anyway, Knize Ten develops into this fabulous comforting leather. The kind of warm, plus leather you can wrap yourself in. The ‘motor oil’ fades so if you were concerned about that aspect, it did fade for me. Also keep in mind that it is hard to pin point exactly what Knize Ten is aside from a really, really good leather. It’s constantly evolving but remains a very nice comforting, luxurious fragrance. The dry down is marked with a warm amber quality and a hint of balancing patchouli. Extra: Knize Ten is a classic fragrance from the 1920s and it smells like it too. It’s complex and unlike most modern men’s scents in that it has a fabulous balance of notes. It was composed by François Coty and Vincent Roubert. Design: Fairly simple design choice for this fragrance but it’s a quality-looking fragrance bottle made of quality materials. Feels nice in the hand, has a good weight to it, isn’t awkward to hold or spray and looks simple and tasteful. Overall, a nicely done design. Notes: Lemon, bergamot, orange, petitgrain, rosemary, geranium, rose, cedar, orris, carnation, cinnamon, orange blossom, sandalwood, leather, musk, moss, patchouli, ambergris, castoreum, vanilla. Knize Ten is beautiful. I just can’t see myself wearing it, but I can definitely see a man with this fragrance. It’s warm, comforting, and sophisticated at the same time. Not to mention it’s a classic which almost always wins extra points. I’m just not sure how old my sample is. Reviewed in This Post: Knize Ten, ~2000, Eau de Toilette. I had smelled Orange Sapphire a few months ago and thought it would be a part of Bath and Body Work’s regular collection. When I went back recently to freshen my memory of this scent, I found that it had been discontinued. That’s the thing with Bath and Body Works, they come out with some nice, wearable, easy fragrances that smell all right. Then when you go back looking for it again, it’s been discontinued. Talk about frustrating. In Bottle: Clean, sweet citrus that reminds me immediately of summer and the tropics. Nicely done citrus-based fragrance that’s more interesting than White Citrus. Orange Sapphire is like White Citrus if the latter would loosen its shirt collar a little bit. Applied: It’s like a sweet citrus party upon application as all the citrus notes flood up top and vie over each other for dominance. There’s definitely a distinct sweet mandarin scent amongst the various citruses. As the fragrance wears on, it gets a bit more floral and a lot more generic. Orange Sapphire’s citrus notes try to hold on in the midstage but the fragrance develops into a floral near the end of its midstage and when Orange Sapphire hits the endstage, it still smells like a sweet floral generic fragrance, the base notes don’t add much to the fragrance, as is usually the case. Extra: Orange Sapphire was discontinued sometime in 2011. The last time I saw this on the shelves at a Bath and Body Works store was in 2010. You can still buy this on eBay and Amazon from third party vendors. But given the history of BnBW discontinuing scents then bringing them back under different names, I wouldn’t be surprised if Orange Sapphire resurfaced with a different name. Design: All Bath and Body Works perfumes are pretty much designed the same way. I suppose the uniform design approach works for them. I mean, the design itself is easy enough to like and easy enough to rebrand for other fragrances. Orange Sapphire, appropriately enough, features an orange glass bottle with some sapphire blue elements on the design. Notes: Blood orange, orange, grapefruit, bergamot, mandarin, cassis, raspberry, peach, jasmine, orange flower, freesia, lily of the valley, magnolia, orchid, vetiver, musk, patchouli. It’s too bad this was discontinued because I think it did fill a niche in that it’s more playful than White Citrus but is still refreshing without being a full out gourmand. But, I wouldn’t be surprised if they brought this back at some point. 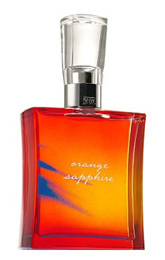 Reviewed in This Post: Orange Sapphire, 2010, Eau de Toilette.